It’s crazy to think that one single letter can completely change the meaning of a word. This is the case for tonkotsu and tonkatsu. Notice anything different? These two words look almost identical, however, there is one letter right in the middle that changes each word to have completely different meanings. Go into any Asian restaurant and order Tonkotsu, and you’ll most likely get a bowl of Tonkotsu ramen. But, if you accidently say the word “Tonkatsu” (with an a), you’ll most likely get a plate of fried pork. 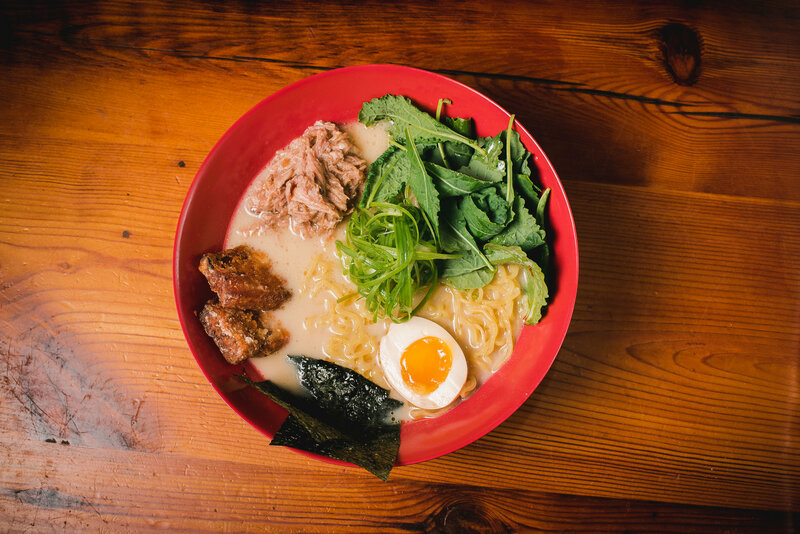 The word tonkotsu literally translates to “pig bone” or “pork bone” in Japanese, but of course, you won’t be ordering a pig bone for dinner. Therefore, in most Asian cuisine restaurants, “tonkotsu” is usually referring to a broth which is made from pork bones. It is made by simmering or boiling pork bone, or pork marrow for about 8 to 12 hours, and adding various seasonings. With that amount of time, the pork marrow releases all of its flavors into the steamed water, by creating a thick and creamy tonkotsu broth. On the other hand, the word Tonkatsu actually derives from two Japanese words. Let’s break-up this word to make things easier: “ton” and “katsu.” The word “ton” translates to “pig, or pork”, and the word “katsu” is a shortened version of “katsuretsu”, which means “cutlet”. The cutlet could be any piece of meat, or seafood, and is usually prepared to be breaded and fried. Therefore, Tonkatsu would be breaded fried pork, which is exactly what it is. Many Asian restaurants serve Tonkatsu, which is a traditional Japanese dish of a breaded, and deep fried pork cutlet. We offer both Tonkotsu and Katsu at Ejji Ramen. 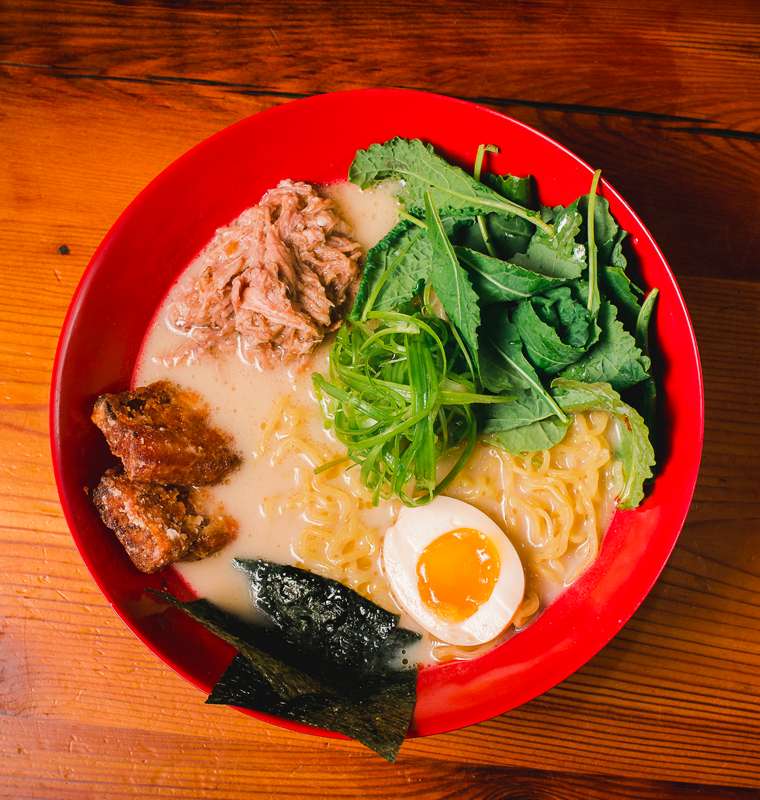 We serve our tonkotsu broth with our thin noodles and topped with our signature pork belly, char siu pulled pork, an organic miso egg and fresh scallions. Some of our Katsu dishes are Eggplant Katsu Sambal and Chicken Katsu Tenders. Stop by today to not only satisfy your stomach, but also treat your mouth with exploding umami flavors! Click here to see our full menu.